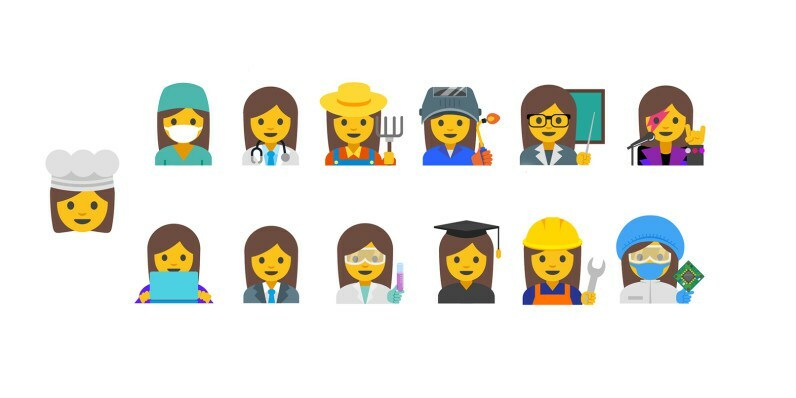 There have always been a crave for diversity among people and that is one problem the Google team might be trying to solve as they launch new emojis for working women. This involves the inclusion of new 13 new emojis depicting women in several fields ranging from Tech, down to Health and then Agriculture.These created emoji have already been sent to the Unicode Consortium, a body responsible for standardizing emoji worldwide. To make our final selection, we looked at the primary, secondary, and tertiary categories that compose global GDP — Agriculture, Industry and Services — and further broke them down categorically based on global popularity, growth, and overall representation. We additionally added in concepts from popular media campaigns such as #likeagirl, global influencers, and the ongoing support to promote women in STEM. They obviously believe women should leverage this new feature as they are the highest users of emojis.